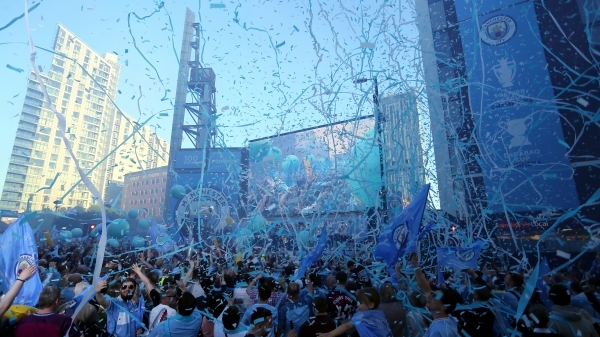 Manchester City celebrated a record-breaking season with a parade through the streets of Manchester. It has, quite simply, been a privilege to watch them this season. They have set new standards for English domestic football. The style with which they have played has touched the heavens. It has been a season of dreams. Most importantly, they have done this with an ambition, a style, a bravery that few have attempted. This is an aesthetic triumph, as well as an athletic one. City have made winning the league a thing of beauty. Why not write your tribute to Manchester City and a brilliant season!